Walking Football is one of the UK’s fastest-growing sports for the over 50s! 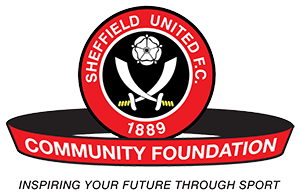 The Community Foundation run weekly sessions at our state-of-the-art Sheffield United SteelPhalt Academy (November – March) and at SUFC’s Gym Plus Complex at Crookes (March – October). Although originally designed for the over 50s, the Foundation welcomes anyone who would like to use this form of the beautiful game to; help get healthy, revive those bygone footballing glory days or just socialise with similar like-minded people! Warm up, Small Sided Games, Cool down & guidance and advice on exercise and stretches that can be done in the comfort of your home. November to March sessions are held at the SteelPhalt SUFC Academy, Firshill Crescent, S4 7DJ on the indoor pitch. Working in partnership with Step Out Sheffield and Drink Wise, Age Well we provide the Stadium as a meeting and end point to help encourage local people aged 50+ in our health walks. The walks have also become popular with Sheffield MIND who promote the sessions through their own channels. We hope these sessions will help improve/maintain good mental wellbeing and prevent isolation. Join us for a leisurely walk around the Bramall Lane area. Meeting Point is the statues in the middle of Cheery Street car park, Bramall Lane Stadium. Sessions finish in the S2 Bar which is situated on the John Street side of the stadium. Fantastic opportunity to get out of the house, socialise, have fun and keep physically active! 1 session per week for people affected by cancer to come along and take part in low level exercise, helping them to keep physically active and giving them the skills and knowledge to maintain or increase there daily level of physical activity. The group is also a fantastic opportunity to meet other people in a similar position or have had a similar experience. In collaboration with SIV and staff at the Sheffield Children’s Hospital we provide a timetable of activity at some of the city’s best known facilities. The aim is for children affected by cancer to experience places like Bramall Lane (behind the scenes), Ice Sheffield, English Institute for Sport etc. The secondary aim is to provide parents, carers and families with a bit of respite. This programme works with young people aged primarily between 16 and 25 years that have or have had cancer. We invite young people to Bramall Lane for an initial meeting including a ground tour. This time is used to discuss what the group would like to do over the next 8 weeks. Our first ever group chose to organise and run a fundraising tournament /family fun day for people affected by Cancer. Our adult Fans FC programme consists of a light physical activity session, to suit all abilities and fitness levels. We also include a social opportunity for you to chat with like minded people. Our Children’s and Teens Fighting Cancer programmes offer different opportunities to young people undergoing different types of treatment. Last year we had a small group of teenagers that came together to create a football tournament that they could take part in. Over 100 people attended raising £500! Our Children’s programme is about having fun! Siblings and close family/friends are invited to get involved too. Last years programme saw young people enjoy a VIP visit to Bramall Lane, SUFC’s training ground, The English Institute for Sport, and Ice Sheffield. This year we will work closely with Sheffield Children’s Hospital and CLIC Sargent to provide this programme again over the Summer. When an individual is diagnosed with Cancer, the last thing on most people’s mind is exercise! However, in many cases it is advised that you try to be as active as possible. It is also good to talk to people in a similar situation. We deliver different accessible sessions that cater to young people and adults that have a range of different disabilities. Adults, young people, and children with a disability. PAN Disability Football – People aged between 8 and 25 years that have a disability and want to take part in football sessions. Frame Football – For people that use walking aids and wish to take part in Football sessions. DS Football – For young people with Down’s syndrome that want to play football. To provide inclusive sporting activities. Easy to access football sessions designed to cater to adults that are suffering from a diagnosed mental health problem. Adults and young people that suffer from a diagnosed mental health problem. Inclusive football sessions for all ability levels. Sheffield United Community Foundation has partnered with the Football League Trust and Ferrero UK to launch the + Sport Move and Learn Project. A national school-based educational programme as part of the global Kinder + Sport initiative. By combining six weeks of practical sporting sessions with classroom sessions, the programme encourages physical activity, promotes nutritional education and builds awareness of the importance of a healthy diet and active lifestyle. The programme is delivered by local community trusts connected to leading national football clubs across the UK and Ireland. The programme content is developed by nutritional and educational experts in line with the recommendations in the Government’s eatwell plate and the National Curriculum.